So you have reached the crucial stage where you are just a signature away from your dream home. From years of savings to executing the plan; here you are getting all frenzy and thrilled to take over the keys and step towards the final destination. After successfully crossing all the hurdles, this one should be taken very seriously. You have to ensure that the builder doesn’t try to swindle you on any legal matters. 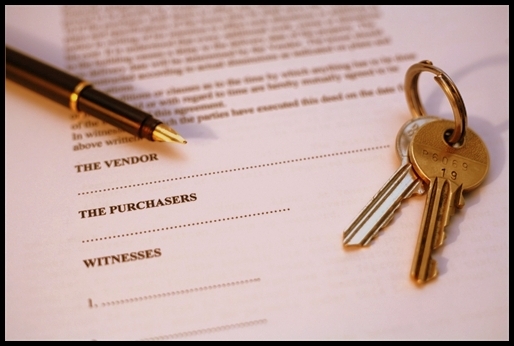 Following are some very important points to consider when you are about to crack the deal. The actual price of the house mentioned in the agreement includes the cost of basic utilities like electricity, water, parking space, taxes and in some cases the registration charges as well. Sometimes the developer may try to hoax you by claiming an additional price for some xyz facility on a later stage. Hence, re-check the actual price with the developer before signing the deal. How to watch out-Hire a real estate lawyer who can help you in evaluating all the hidden or missed out costs. In case there are any changes that have to be made, you can ask the builder for the sanction letter provided by government authorities for such alterations. The actual size of the house is discussed and clearly mentioned in the home agreement. Many times the developers may settle on a different size later; when you are done signing the deal. He may come up with all possible excuses like a slight change in design or specifications but it’s you who should be sure of what was initially discussed. How to watch out- Ask your lawyer to include an additional clause mentioning a definite range to the maximum and minimum size, above or below which the builder cannot exercise his plan. Track his past records and check whether he has some past evidences in delivering different size of the house after signing the deal. There are several developers who fail to deliver the property on time. For instance, recently when our real estate market was going through a rough phase many of the developers were unable to deliver the projects on time. How to watch out- As a smart buyer it’s your duty to keep a check on the progress of the construction personally. In case you feel the progress is slow and the developer would fail to deliver the project on time start pressuring him to do so. Forming a society with other buyers always helps a lot in getting things done on time. Carpet Area refers to the area which does not include the area of the walls. This is the area in which literally a ‘carpet’ can be laid. Whereas, when the area of the walls including the balcony is calculated along with the carpet area, it is known as built-up area. Additionally, if you include common spaces like lobby, lifts, stairs, garden, swimming pool etc., then it is termed as the super built up area. The carpet area can be 15-30 percent less than the super built-up area. However it is difficult to track the exact size until the flat constructions are completed. How to watch out- Always purchase the property based on the carpet area of the flat and ensure that this area is mentioned in the agreement. Ask your lawyer to include a clause which will certify that the contract can be terminated if the builder provides a house with the carpet area less than what is mentioned in the contract. A completion certificate is a proof provided by the municipal authority which ensures that all government norms and specifications have been thoroughly followed. With the completion of the project the builder must provide you with a completion certificate. This certificate is important for the registration of the house and to complete other legal formalities. How to watch out- Ask your lawyer to ensure that there is a clause that indicates the certificate will be handed over to you on completion of the house. As mentioned above a society of buyers may persuade the builder to move things faster and according to the laid down plan. You will always see a clause in every point which says the plans, designs or specifications are tentative but that does not mean you will accept anything that the developer is offering against your will. Moreover, apart from the above mentioned aspects, check the construction, society management etc. Ensure these aspects are also covered in the agreement. For any further assistance, from finding the right house to all the paperwork, you can contact us at info@crem.co.in .